4-Word Review: Don’t try angel dust. 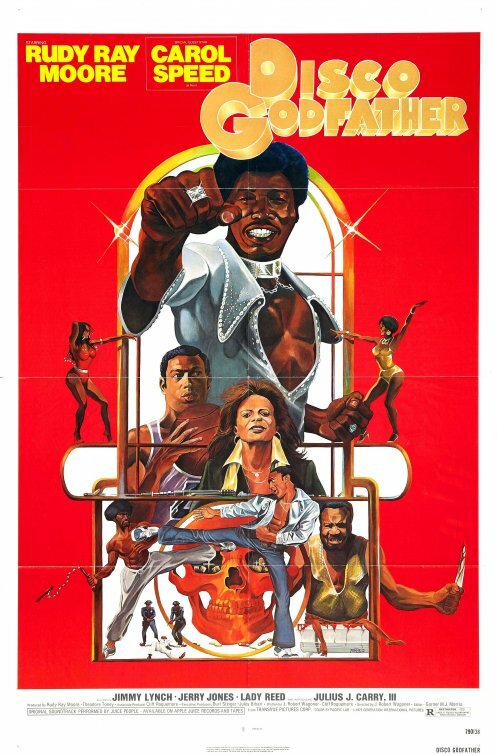 Tucker (Rudy Ray Moore) is the DJ at a local discotic known as Blueberry Hill who becomes concerned when his nephew takes a new drug called angel dust that causes him to have weird hallucinations and forces him into the hospital. Since Tucker is also a former cop he decides to use his connections with the police force to take down the drug dealers and clean up the streets before they can corrupt any more of the youth, but the dealers have other ideas including kidnapping Tucker and forcing him to ingest the drug via a gas mask. This was the fifth feature for Moore and the last one where he was credited as the star. The former comedian created a character for his stage act called Dolemite that proved so popular that in 1975 it was turned into a movie and Moore became a star at the age of 48. Yet by this time the act was starting to get old. He still had the energy, but seeing a man who was clearly in his 50’s somehow able to beat up guys who were much younger and bigger than him didn’t make a lot of sense. The story itself is run-of-the-mill and splicing in disco dance numbers where the camera conspicuously focuses in on the scantily-clad gyrating bodies of the females doesn’t help and if anything makes it even more boring. The fight sequences looked quite staged and it’s obvious that the actors are pulling their punches and kicks. The only thing that makes this otherwise uninspired low budget mess slightly diverting are the drug sequences in which the characters start tripping out on all sorts of weird hallucinations as well as a segment dealing with a religious group trying to ‘cure’ one of the victims through an exorcism. The final segment in which Moore sees his mother turning into a devil is goofy enough to give this thing 2 points and had this movie cut out the derivative drama and emphasized more of a surreal quality it would’ve done better. This entry was posted in 70's Movies, Action/Adventure, Blaxploitation, Cult, Low Budget, Martial Arts, Police Drama and tagged Entertainment, Movies, Review, Rudy Ray Moore. Bookmark the permalink.